? This Motorola Moto X 2nd LCD assembly replacement does not include the front frame. 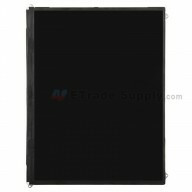 We can also supply the Moto X 2nd XT1096 LCD assembly with frame and Moto X 2nd XT1092 LCD assembly with frame.
? This Motorola Moto X 2nd LCD and digitizer assembly is a brand new and original screen replacement.
? The Motorola Moto X 2nd LCD assembly is available in black and white, this is the black one.
? This screen replacement is compatible with Motorola Moto X 2nd only.
? Special repairing tools are required for assembling or disassembling, as the Motorola Moto X 2nd LCD display and digitizer are hermetically attached.